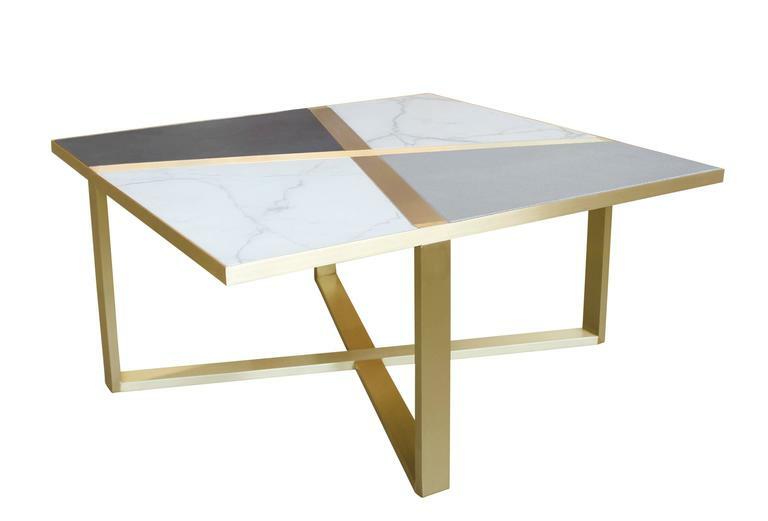 Facet Sculptural Cocktail Table in Satin Bronze with Inset Honed Marble Top. 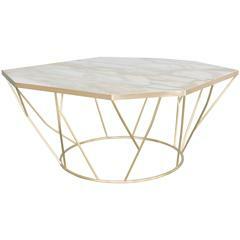 Bronze frame cocktail table with inset marble and leather panels. 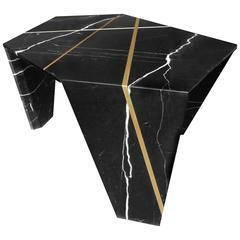 Available in custom sizes, finishes, materials, as well as COL. Each piece is made to order and be specified in any combination of material palettes. 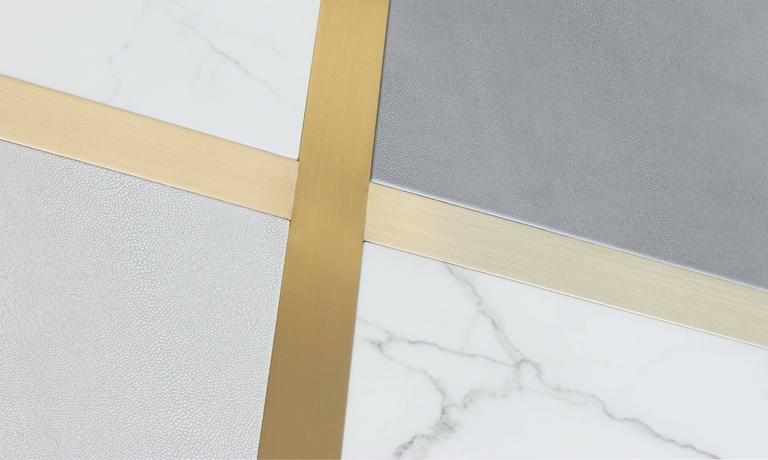 Metal frame is available in a wide variety of finishes, from rustic blackened steel to mirror polished bronze. 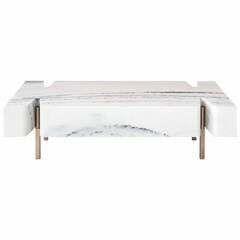 Marble can be sourced in any number of shades, and leather panels can be specified as COL. All wood or all stone versions can be produced on request as well. 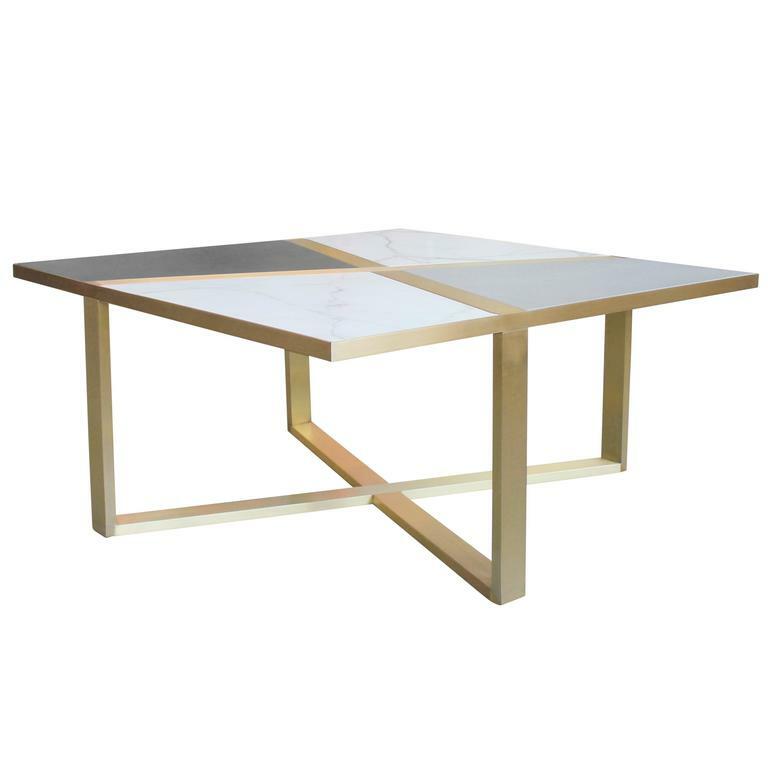 James Devlin Studio was founded in 2011 and quickly became known for designs that combine elegant, modernist inspired forms with luxurious material palettes. 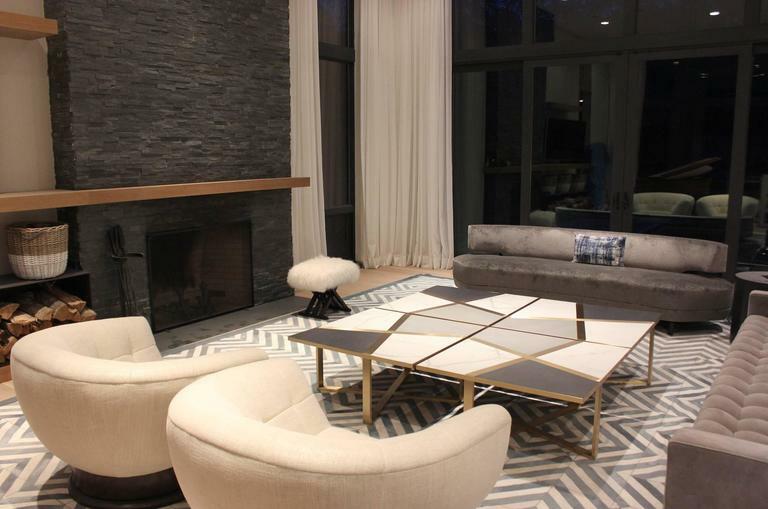 Believing in da Vinci’s dictum that simplicity is the ultimate sophistication, the studio consistently creates work that rewards a closer look. 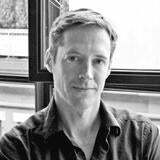 From understated steel through sumptuous polished bronzes, meticulously crafted metalwork is at the heart of the practice. In addition to a continually expanding catalog of works, the studio regularly partners with leading designers to produce limited edition and one of a kind pieces that define the spaces they inhabit. 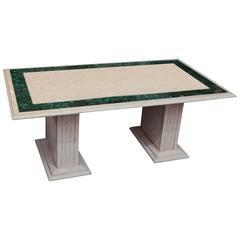 This is an amazing marble piece, inlaid with malachite on marble pillars. Great color and the malachite is deep with beautiful hypnotic colors. 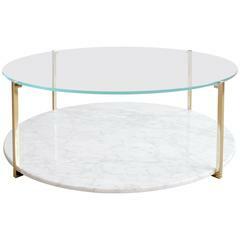 Patinated bronze and white marble vintage cocktail table. 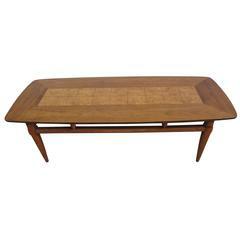 Elegant and tasteful cantilevered Italian Mid-Century Modern cocktail table with an inlaid (intarsia) top.